How would you rate your experience with Best Yet Market ? 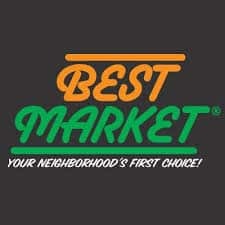 Best Market, also known as Best Yet Market, was founded in New York by the Raitses family in 1994. The company’s focus is on fresh produce and meats, but they also offer other types of groceries, including the family label BBQ sauce and local craft beer. 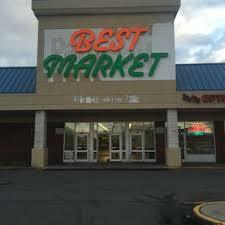 In 2002, the company changed its name to Best Yet Markets, but some older stores are still labeled with the old signage. The company began as a corner fruit and vegetable stand but quickly moved into larger quarters. 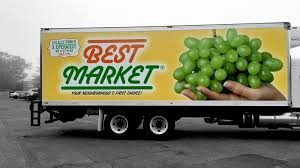 Today, Best Market has 30 stores in New Jersey, New York, and Connecticut. A flagship store was opened in Harlem, New York, in 2010. Beginning in 2015, the company began expanding through acquisitions, usually taking over A&P locations. Many of the newer locations are going green, getting their electricity from rooftop solar panels, an all-hybrid vehicle fleet and electric charging stations for employees and customers. The company announced that it would soon move headquarters from Bethpage, New York, to Bay Shore, Long Island, as part of a tax incentive, although a move date has yet to be announced. Currently, the company employs approximately 3,000 employees and has headquarters in Bethpage, New York. Question 1: What is the phone number for Best Yet Market? Answer 1: The phone number for Best Yet Market is (516) 570-5300. Question 2: Who is the CEO of Best Yet Market? Answer 2: The CEO of Best Yet Market is Rebecca Philbert. Question 3: Who founded Best Yet Market? Answer 3: Best Yet Market was founded by Ben & Aviv Raitses in 1994. Want to make sure Best Yet Market sees your comment or complaint?